Were you able to guess the place and time of today’s flashback photo? 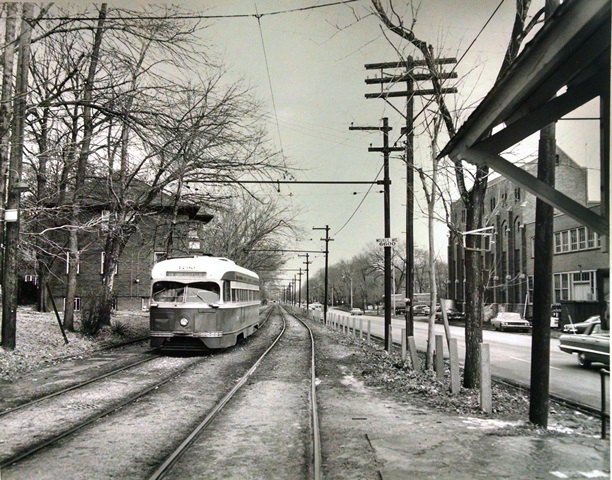 You’re looking at a westbound streetcar on Millbrook (now Forest Park Parkway) at Melville in the 1960s. Photo courtesy of the Steven Siegerist Collection.